Snow-streaked mountains tower above Ascu Stagnu, three days into the GR20. Walkers high above Vizzavona, with Monte d’Oro in the background. A walker on the Bocca di Foggiale on the approach to the Refuge di Ciottulu di I Mori. Many years ago Alan Castle wrote about the GR20 for Cicerone. 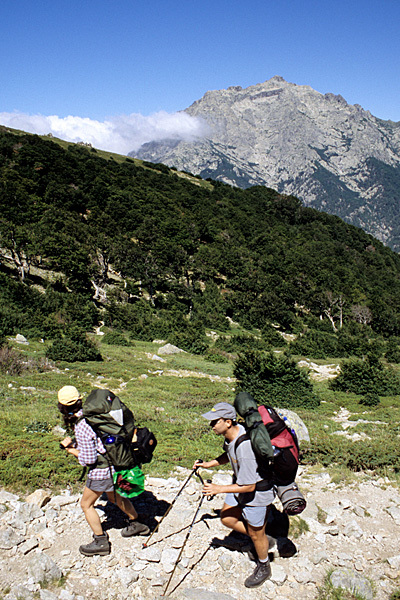 The route changed and the book was revised piecemeal, but it became clear that a new guidebook was needed. Connie Roos went to research the route and prepare a new guide, but she was struck dead by lightning shortly before the finish. I took on the project late in the year, but still managed to check some low-level, snow-covered stretches of the GR20. The high-level GR20 was checked the following summer, along with routes up some nearby mountains. 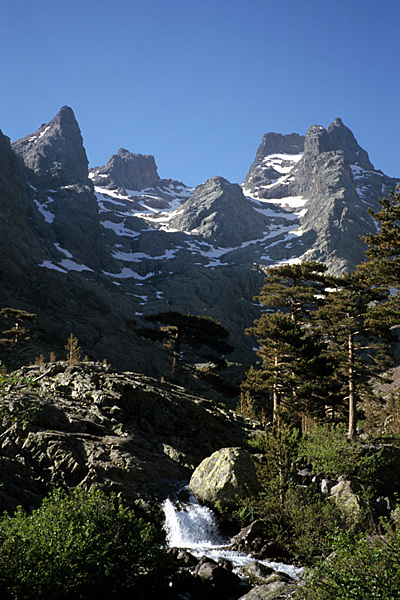 The guidebook therefore includes the main route of the GR20, alternative routes, and ascents of nearby mountains. The whole route, along with more links to nearby villages, was walked, checked again and completely re-written for the current full-colour edition, which contains plenty more photographs and full-colour mapping. The GR20 has the reputation of being the toughest waymarked trail in Europe, and anyone attempting it needs to plan carefully. However, despite the rigours of the route, it is within the capabilities of fit walkers who take care where they are putting their feet. The information in the guidebook makes it perfectly clear what is required. In a review in TGO (The Great Outdoors) magazine, Martin Salter-Smith said "Paddy Dillon's detailed route descriptions, realistic timings and an acknowledgement of the mental, as well as the physical challenge to be overcome... is well phrased and should be read and carefully digested by walkers... a handy reference... helpful details... the colour photos capture some of the atmosphere of the journey... this is a well-researched and practical guide which will be drooled over on wet winter evenings, and thumbed again in remote refuges where the summer scent of the maquis drifts in from the tangled hillsides of the Mountain in the Sea." 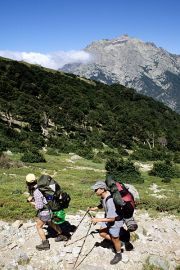 All PNRC refuges must be booked and paid for in advance of starting a trek along the GR20. Full details at www.parc-corse.org. Please note that the route through the Cirque de la Solitude was CLOSED following a fatal accident there on 10th June 2015. 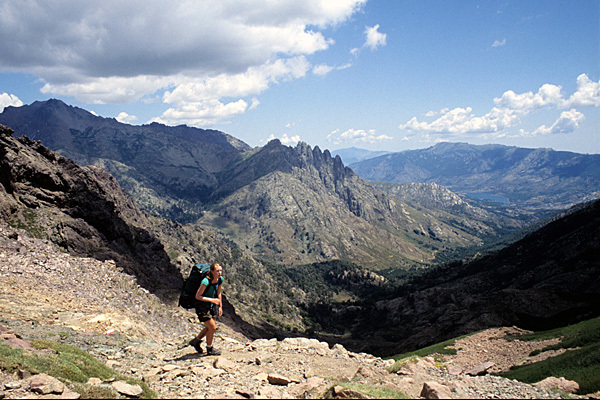 A new route passes close to Monte Cintu, running from Pointe des Eboulis to Bocca Crucetta, then descending to the Refuge de Tightjettu. Full details are included in the fourth edition of the guidebook. If you are using an older edition, check the new route here.